In the run up to the wedding, I've gone through periods of being super motivated and trying every exercise possible, and then being super lazy and eating like an oaf - not good when I've got my final dress fitting coming up (and a holiday!). Looks like I'll need to cut carbs in the few weeks before the wedding! I've always enjoyed yoga, but never really had the time to attend classes at the gym as they're always at a really inconvenient time. I've previously tried Yogaia- an on-demand online yoga class which was great for use abroad and when I really wanted to just unwind and centre myself without having to leave the house. A few weekends ago, Kirsty and I had a bit of a full weekend, driving over a hundred miles to treat ourselves to both a morning regenerative yoga class at the gym, and indulge in a very filling afternoon tea at Hotel du Vin in Henley-on-Thames. 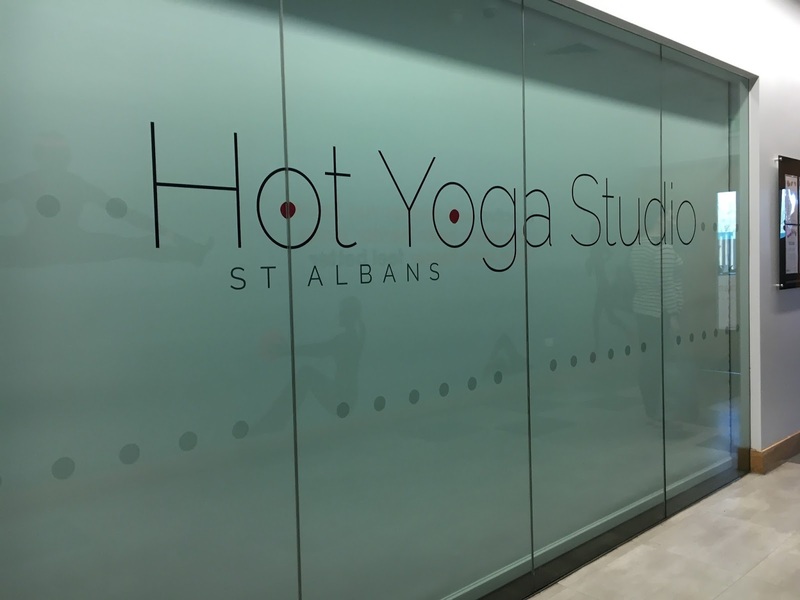 Heading over to St. Albans bright and early on a Sunday morning, we arrived at Westminster Lodge, signed into our Hot Yoga class and made our way to the studio. 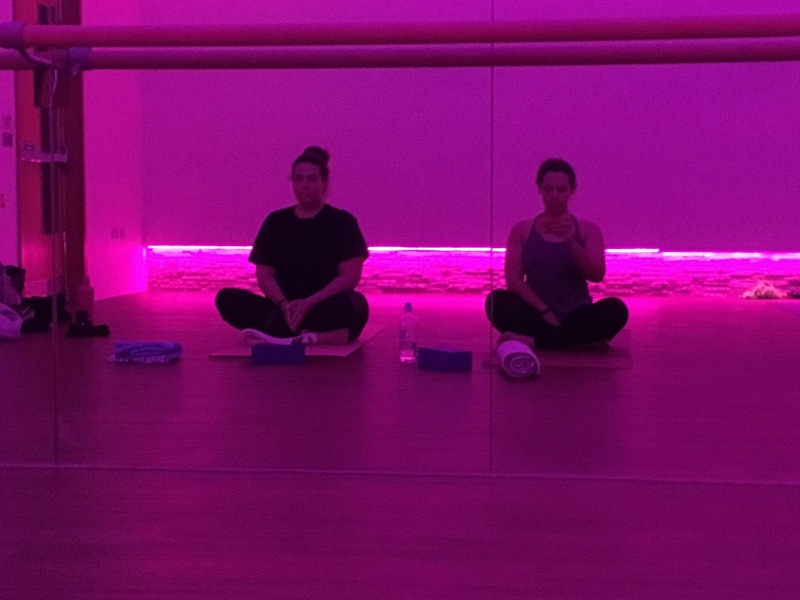 Heated to 42 degrees, the yoga studio was lit with hues of purple which made the whole room feel relaxing and emphasised the warmth. Increasing flexibility and doubling the amount of calories you burn (up to 1000!! ), Hot Yoga is the new craze for keeping fit and increasing mobility and flexibility. Its new addition to St. Albans' Westminster Lodge Everyone Active Leisure Centre means that they're offering 20 days of yoga for just £20 and gives you the choice between mild, warm and hot yoga, depending on your ability and preferences. Purging toxins from the skin through your sweat and increasing your calorie burn, the low impact movements and breathing exercises take normal yoga to a whole new level. By increasing the heat, your cardiovascular workout and strength exercises give you more of a workout that you'd expect. After just 10 minutes, we were dripping in sweat! The class was run exceptionally well, with guidance for beginners and the less able with adjusted movements and stretches for the less flexible too. 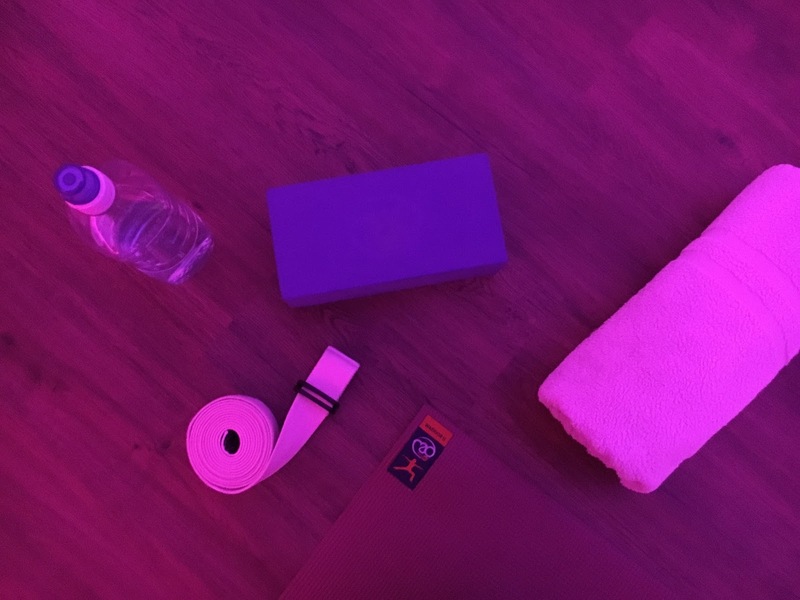 Using a yoga mat, towel, strap and a block we were guided through the sun salutation and various breathing exercises as well as some other new stretches to help us sweat more. The moves were relatively easy, with some more challenging ones to give you the opportunity to push yourself a bit further. With the afternoon tea later that day, I knew I needed to burn extra calories so I could pig out later! Overall, the class was really good and great at unlocking movement I didn't know I had! It's definitely a class you'll want to wear shorts and a vest to as it does get very warm, so filling up your water bottle is an absolute must. Giving yourself some 'you' time and allowing your body to detoxify, stretch and strengthen is also good for your core, for your health and for your mind. We'll certainly be enquiring at a gym more local to us for classes like this again! Have you ever tried Hot Yoga? What were your thoughts?